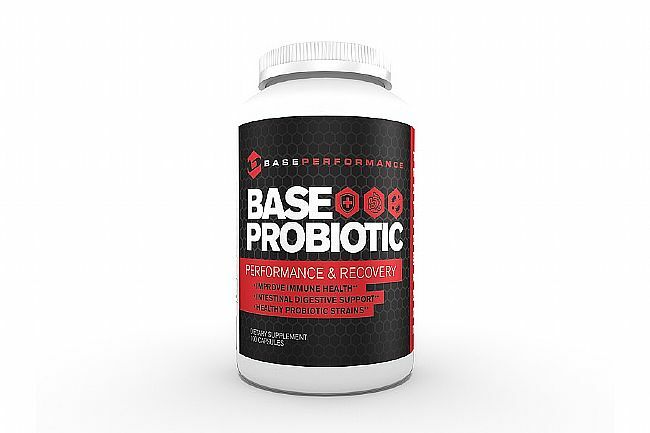 BASE Performance’s BASE Probiotic (100 capsules) is a dietary supplement containing live, beneficial intestinal microorganisms that have been studied and endorsed for their benefits to nutritional health and overall wellbeing. 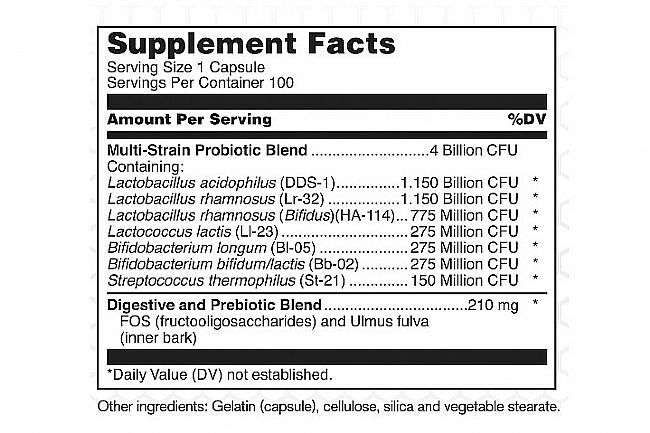 Each probiotic capsule has over four billion beneficial organisms including Lactobacillus rhamnosus, Bifidobacterium, L. acidophilus DDS-1TM, and prebiotics. When regularly consumed, probiotic supplements can help establish and maintain a healthy colony of beneficial intestinal microorganisms. Once established, the healthy microflora creates conditions that are adverse to the settlement of pathogenic microorganisms, helping the gut stay healthy as well as the body’s numerous interconnected systems. For best results, BASE Performance recommends taking 1-3 capsules a day or as directed by a healthcare professional.